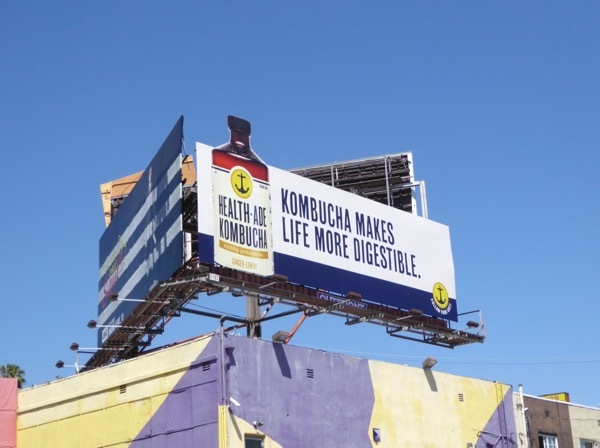 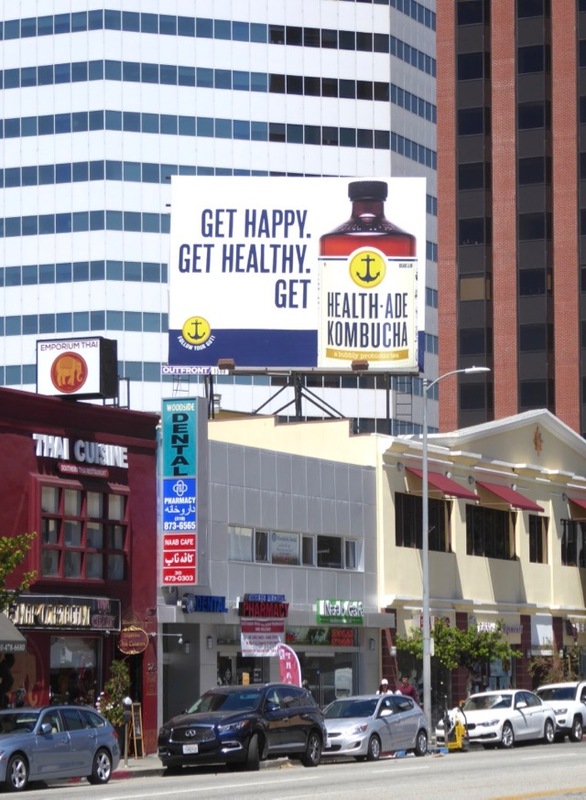 Daily Billboard is always a sucker for a special extension cut-out regardless of what it's advertising, be it a movie, TV show or drink brand, and these examples for Health-Ade Kombucha have certainly been standing out in the skies of L.A. these past few weeks. 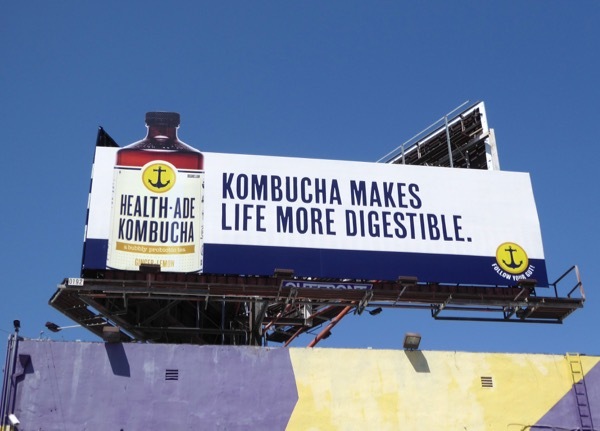 Kombucha is fermented tea which naturally contains probiotics and healthy organic acids and this particular brand comes in bubbly flavours like Ginger-Lemon, California Grape, Pomegranate, Beet and more besides. 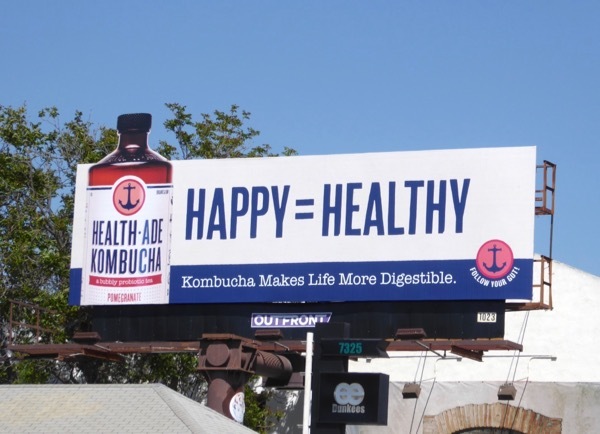 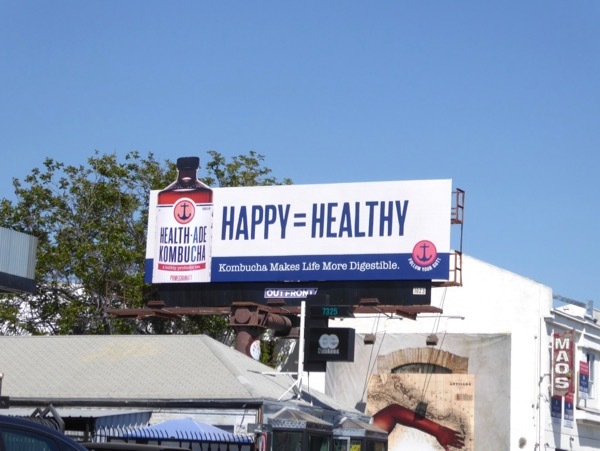 These simple, eye-catching Health-Ade Kombucha special extension billboards were snapped along Fountain Avenue, San Vicente Boulevard and Melrose Avenue from April 9 to April 19. Meanwhile the squarer standard version was spotted high above Westwood Boulevard on April 29, 2017, and there have been many more examples around the streets of L.A.
For other great drink brand outdoor ad campaigns using special extension cut-outs to great effect, be sure to also check out these Pom billboards and these Hubert's Lemonade billboards. 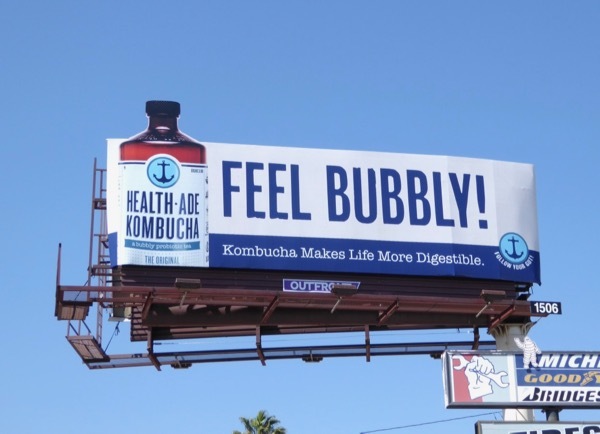 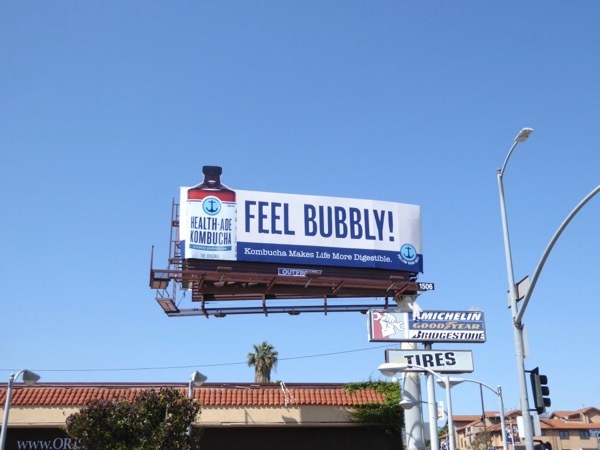 There's no doubt that happy equals healthy, and Daily Billboard certainly agrees with the notion that something bubbly helps make life more digestible (although it's usually the pop of a champagne cork), especially in these trying times we live in. 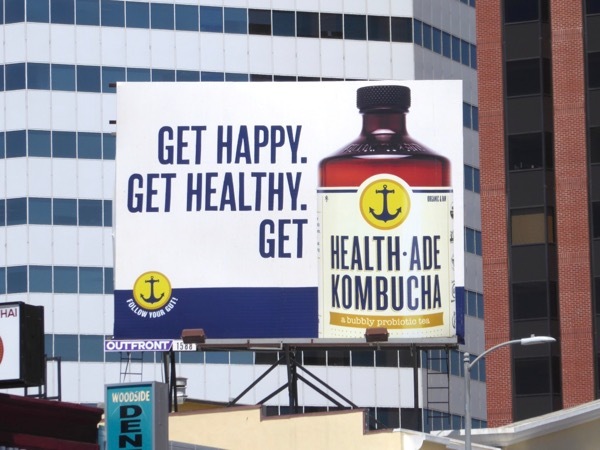 Drink up.